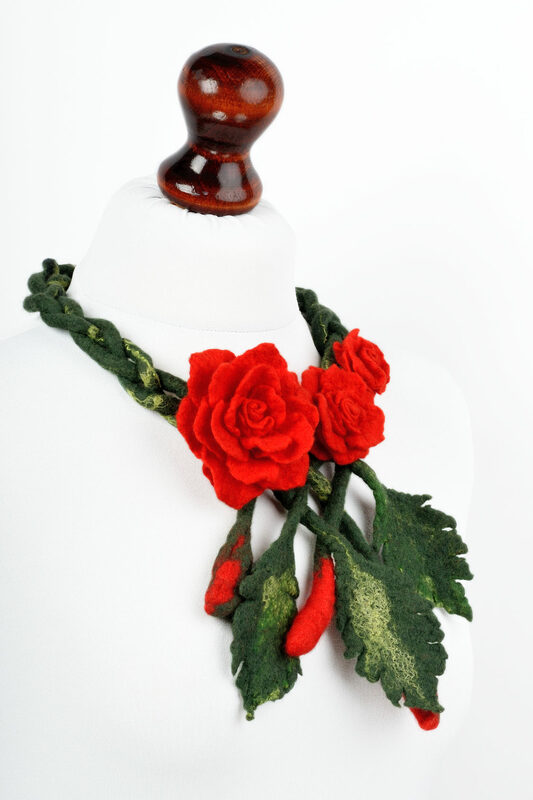 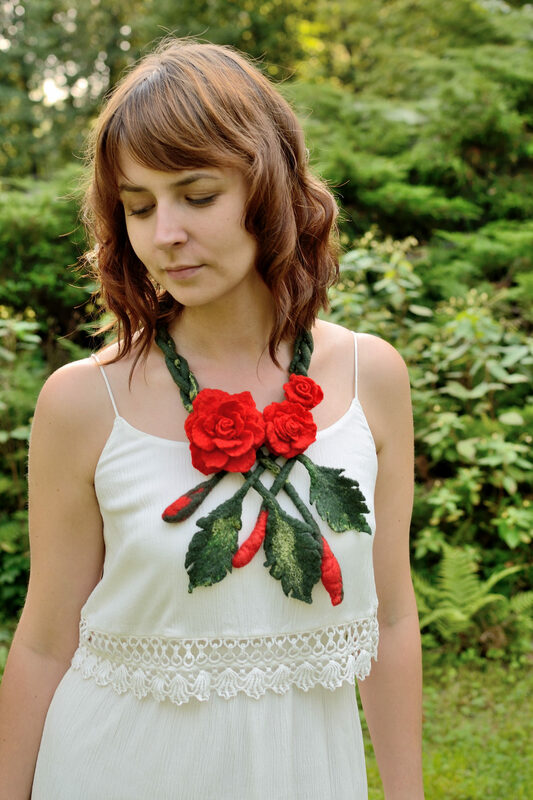 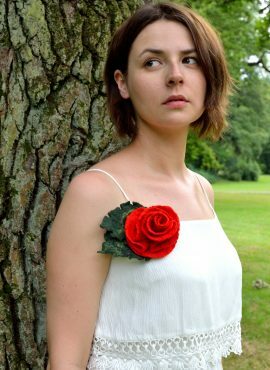 This felted rose necklace is designed for woman, who loves classic. 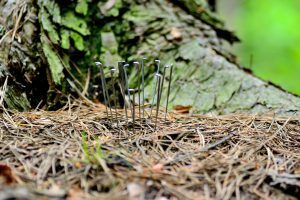 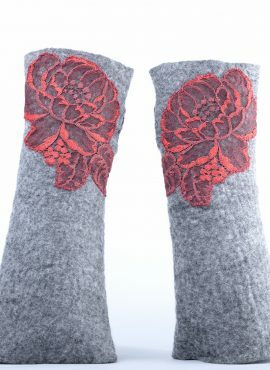 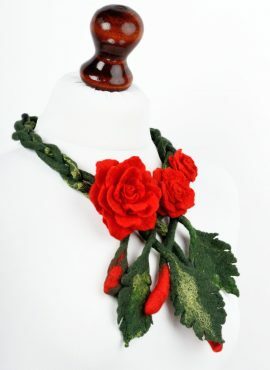 Red roses always make us feel more beautiful, so if you do not have them in your jewelry box yet, you might consider buying three lovely ones accompanied by felt leaves and attached to a braided stalk. 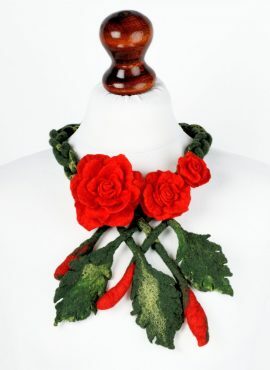 This flower necklace is perfect for any occasion. 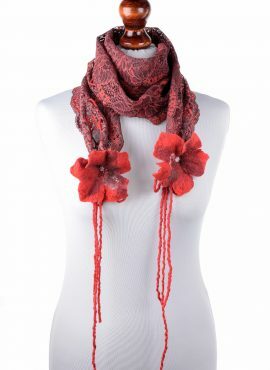 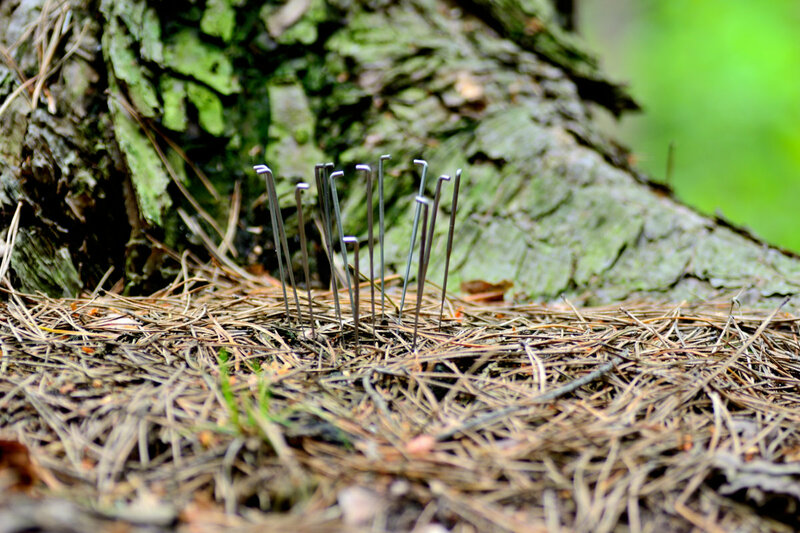 It will fit nice with spring dresses and winter or autumn clothing, giving your outfit a feminine and romantic look. 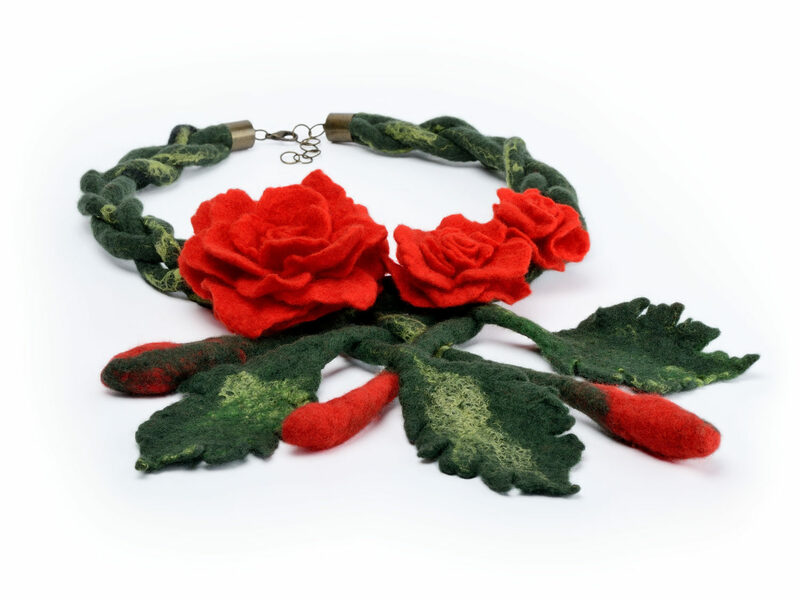 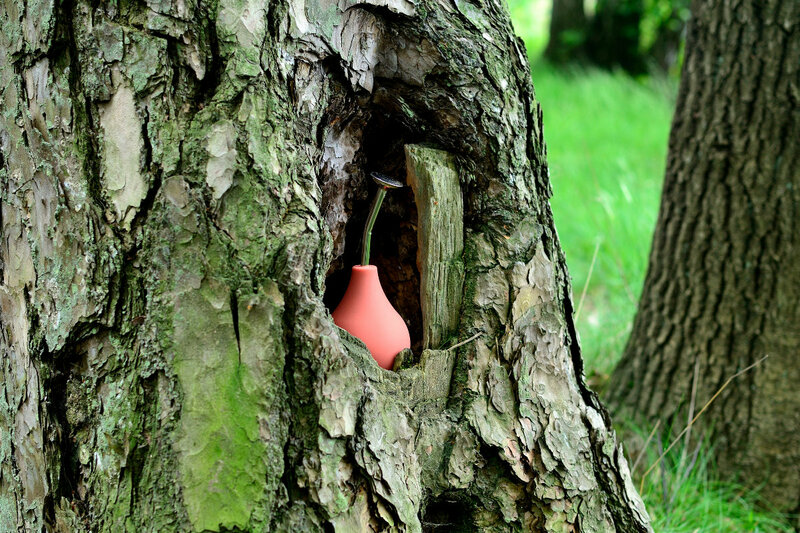 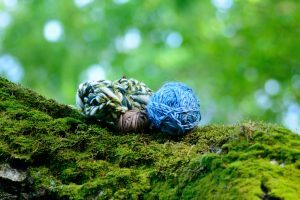 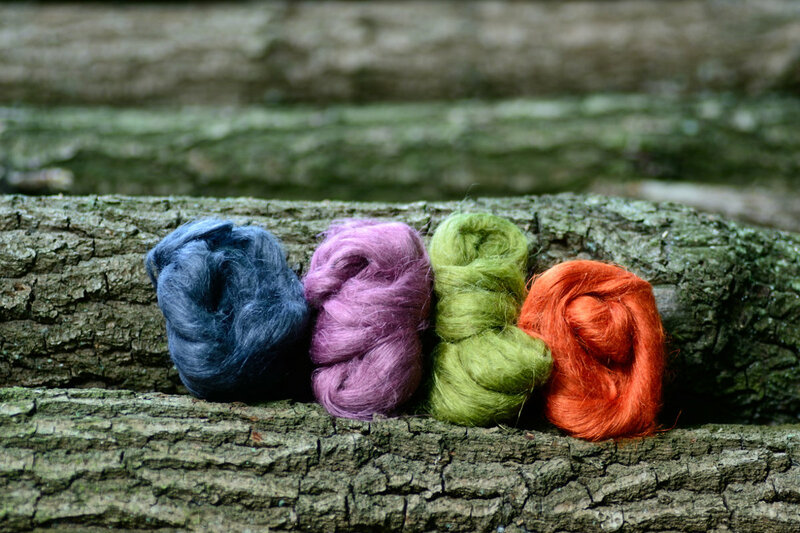 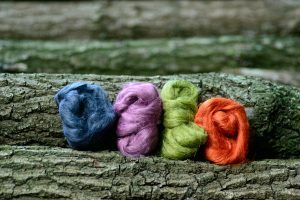 The necklace is a handmade item and it consists of fine merino wool, which makes it soft and skin-friendly. 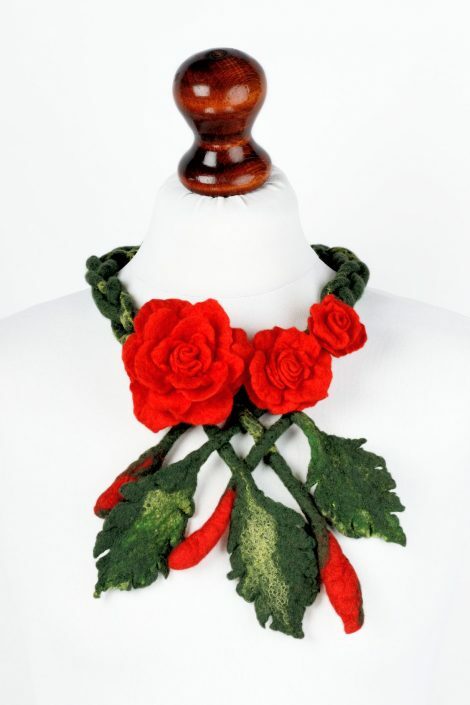 It is finished with an antiallergic clasp and we add a chain extender to every piece, letting you adjust it to your size. 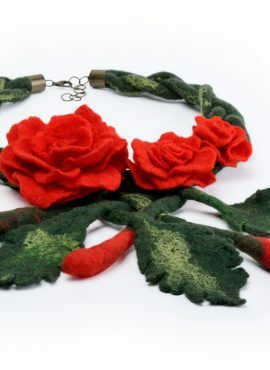 You can buy this felted rose necklace for yourself or as a nice floral gift for woman, who love red flowers and fiber jewelry.